They finally asked - and you said "Yes!" Congratulations on your engagement! 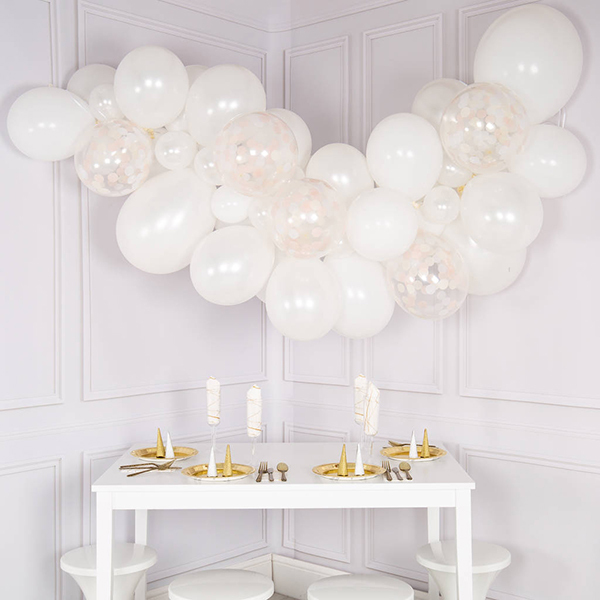 Why not celebrate with your friends and family by hosting an unforgettable engagement party? Engagement parties were traditionally held by the bride-to-be's parents, but nowadays, the couple often host the occasion. It's the perfect way to practise for your wedding day. So, here are some tips and ideas to get you started! 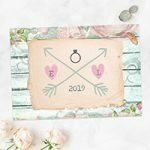 The engagement party and wedding day usually have a gap of eighteen months between them, but the choice of timing is up to you! 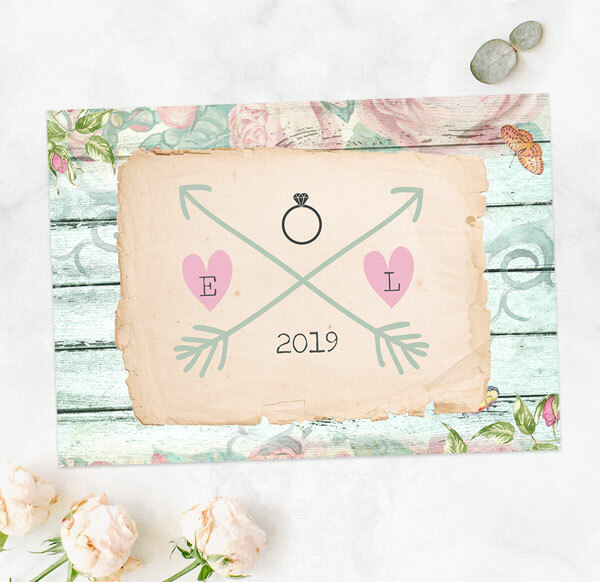 With social media, it's easier than ever to announce your engagement in style, so the party isn't necessary for letting everyone know the big news. With that freedom, you can pick a date that works for you. However, it is a good idea to do it sooner rather than later. By holding the party early, you have more time to focus on budgeting and planning for the special day itself. Start by writing out your guest list. Once you know how many people you plan to invite, you can pick a suitable venue. It's a big plus if you can host it at home, as it cuts costs - and with a wedding on the horizon, it's good to save cash where you can. 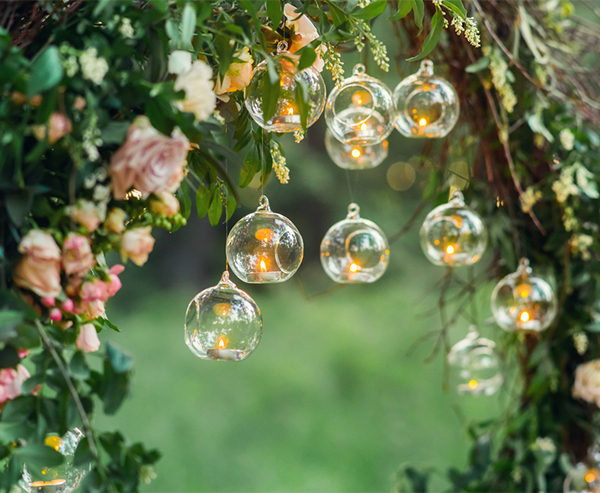 If this isn't practical, or you simply have your heart set on a big event, look into hotels, bars, or marquees you can hire out. When organising your location, think about a good place for a gift table, too. Gifts aren't expected at engagement parties, but some people might bring them, in which case it pays to have a discrete spot to leave them so as not to make other guests feel awkward! Don't forget, guests who are invited to your engagement celebration will expect an invitation to your wedding. Bear this in mind when creating your guest list. 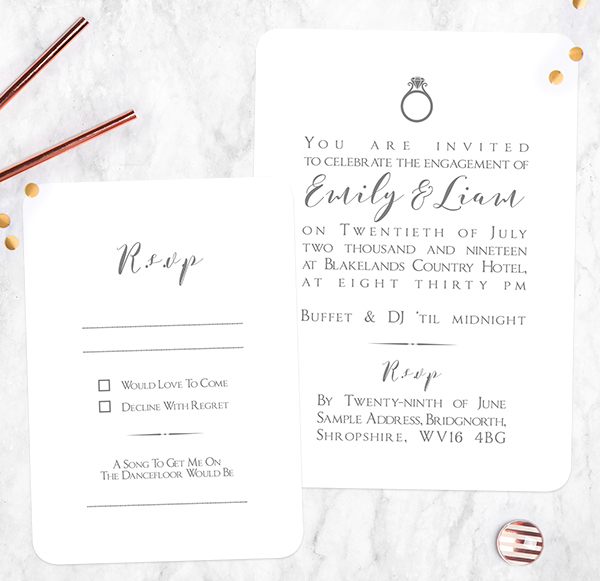 Send out your invitations a month prior to the event, and make sure to include key details like time and location - and the name of the happy couple, of course! Embrace vintage style with floral patterns, delicate lace, and cute shabby chic details. Because this popular theme is really open, you can incorporate your own unique touch. If you're a boho couple, you might go for a rustic take with neutral colours and woodland-inspired decoration. And for a more whimsical affair, pair a pretty pastel palette with plenty of country inspiration, like flowers and worn textures. You might prefer a relaxed event, with details based on your loves and interests as a couple. 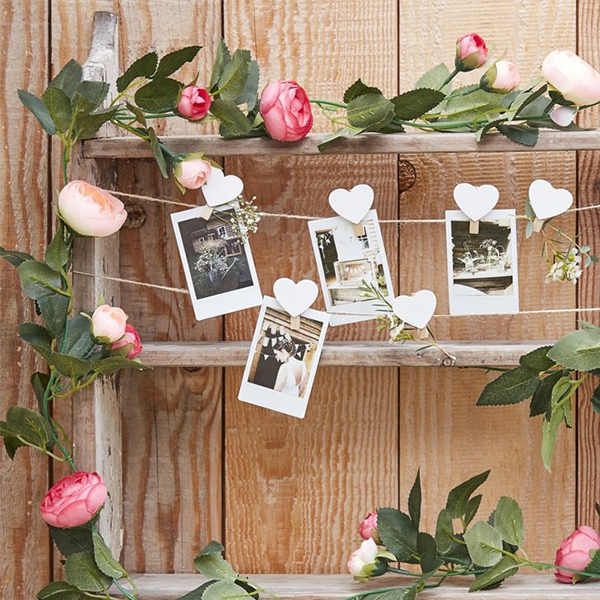 For example, base the decorations around your favourite hobbies, or use photographs of your relationship milestones to create a unique and personal vibe. Make sure to take plenty of new snaps to remember the occasion! The perfect theme for a modern couple, contemporary style is all about mixing the minimalist with the bold. So, go sparse on decor, punctuating a pale palette with bursts of strong patterns like gold or marble. 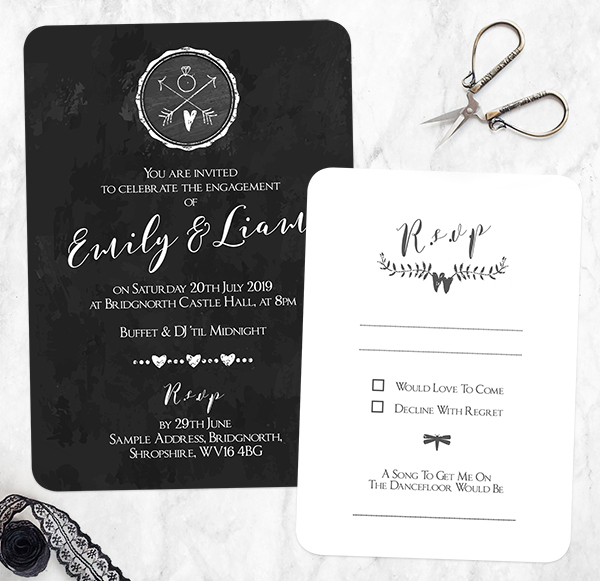 Add a sleek and stylish vibe with some elegant typography and sharp modern artwork. You can include these elements in your table setting with items like this cute confetti, and in your invitations with a striking design.